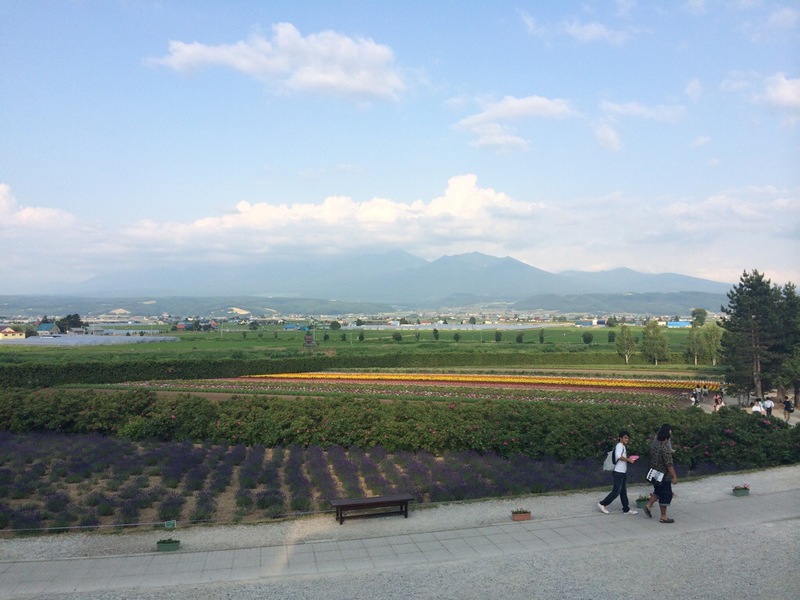 Furano was one of the places that was circled on my map from the start. In Kyushu there was Aso and Beppu, in Honshu there was Sendai and Ogatsu and in Hokkaido Lake Toya and Furano. 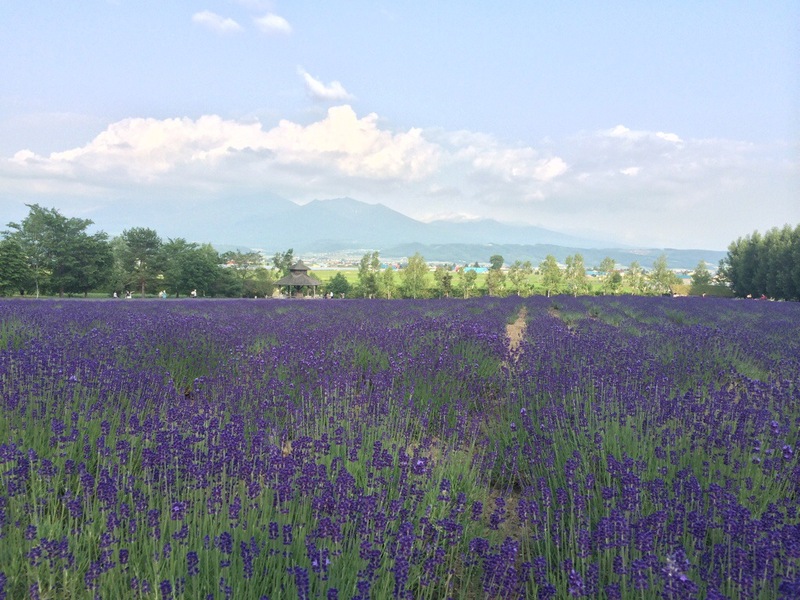 Furano is a small town a couple of hours east of Sapporo by car. Or three days north east of Hakodate by bicycle. 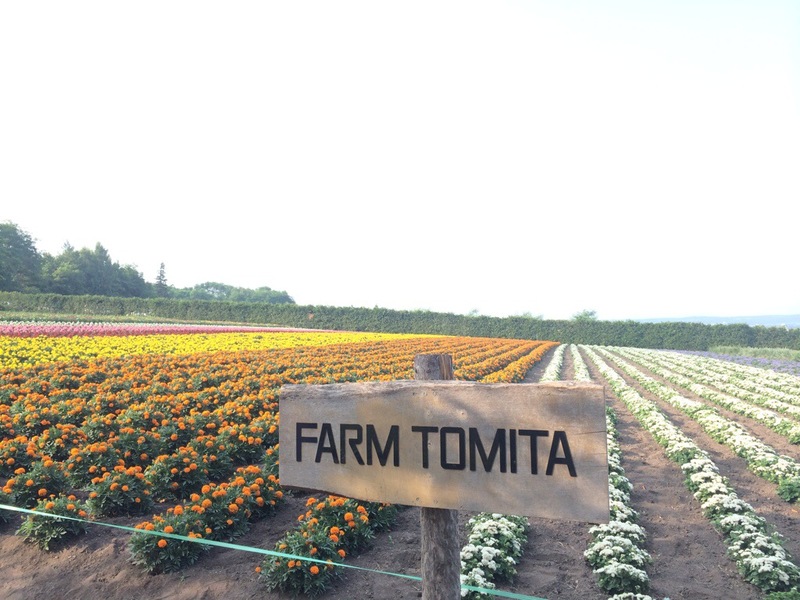 It is famed for its picturesque landscape with its gentle rolling hills of lavender and multicoloured hydrangea. As I crawled out of the long tunnel that cut from the previous forested mountainous valley and into Furano I was more than ready for this beauty to greet me like an old friend. But nothing. It was the same this side of the tunnel as it had been on the other. I continued down the valley towards central Furano but still the image I had in my head just didn’t appear. A tuft of lavender outside a convenience store raised my hopes temporarily but the views just did not come. Perhaps I’d been misled by the posters on trains or perhaps an image of Provence from my mum’s kitchen calendar had crept in and falsified my mind but I was seriously disappointed. In the end I did find the lavender and hydrangea. 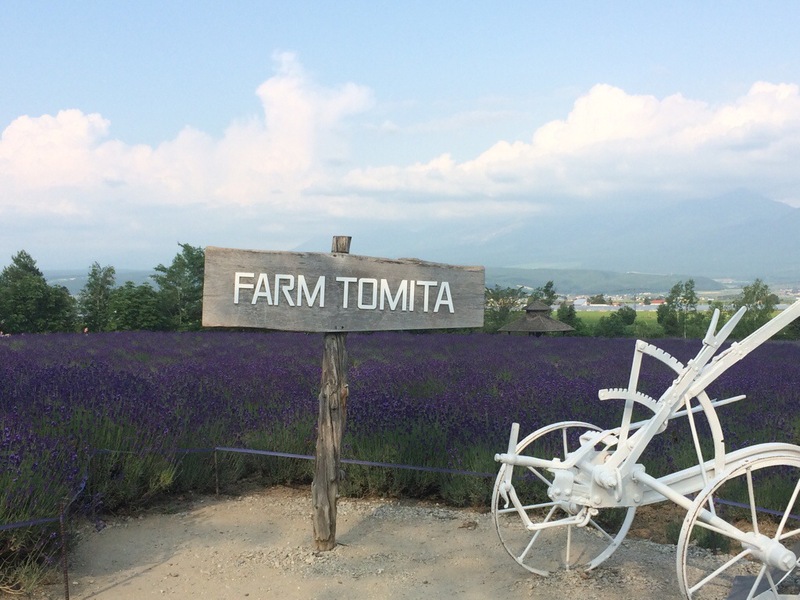 They are almost entirely limited to a small patch of hillside called Farm Tomita where bus loads if tourists are shipped in to take photos squatting amongst the purple shrubs and then shipped out again. To be fair, the garden is very nice. But that is all it is. As I’d made it so far I joined the throngs and took the same photo they must’ve taken for the train ads, had a glass of ice lavender tea and watched the high school students gorge themselves on lavender ice cream. The town is pretty, just a little over hyped. And it doesn’t look like my mum’s wall calendar. So prepare yourself. Yes, not quite Provence. Disappointing for you. Looks like some big old mountains in the background though.